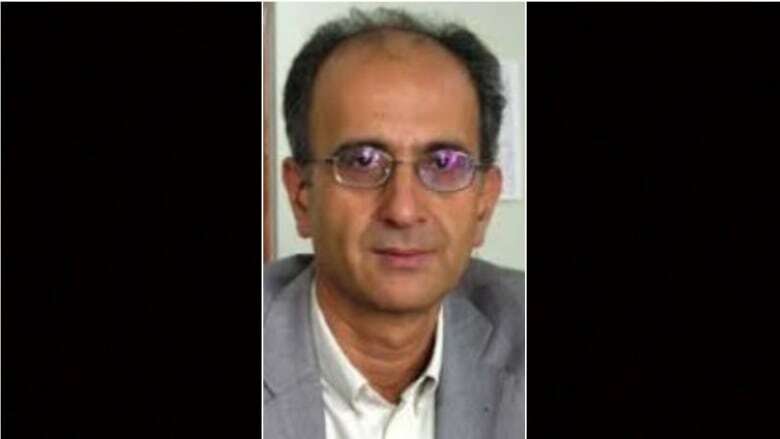 An Iranian-Canadian academic and environmental activist imprisoned by Iranian authorities last month has died in prison, his son wrote on Twitter on Saturday. Kavous Seyed-Emami, 63, was the managing director of the Persian Wildlife Heritage Foundation, which seeks to protect Iran's rare animals, and a U.S.-trained scholar in sociology. A member of Seyed-Emami's family, who does not want to be identified, told CBC News late Saturday that the family is "utterly shocked and devastated" at his death and calls for the Canadian government to demand that Iran allow an independent autopsy to be performed. A spokesperson for Foreign Affairs said "Canada takes its consular responsibilities ‎very seriously." "Canadian consular officials in Ankara are working to gather additional information and are providing assistance to the family of the Canadian citizen," Natasha Nystrom told CBC News in an emailed statement. The family member said Seyed-Emami was a dual Iranian-Canadian citizen who was last in Canada on a sabbatical at the University of Lethbridge in late 2017. Seyed-Emami was "not a political person," the family member said, and worked at an elite Tehran university renowned for training the country's career diplomats. In Iran, he was known for instilling a love of nature in his students and started a hiking group to encourage them to experience the outdoors, the family member said. Seyed-Emami's son, the Iranian musician Raam Emami, wrote on Twitter that his father was arrested on Jan. 24, and that his mother had been informed of Seyed-Emami's death on Friday. It was not immediately clear where he was tweeting from. "The news of my father's passing is impossible to fathom," he tweeted. "I still can't believe this." On his Instagram account, Emami wrote that authorities said his father had committed suicide. He did not respond to requests for further comment. Tehran's prosecutor Abbas Jafari-Dolatabadi said Saturday that Iran's security forces had arrested several people on espionage charges, the judiciary's Mizan news agency reported. "They were gathering classified information in strategic areas … under the coverage of scientific and environmental projects," he said, without giving further information. Trevor Harrison, a professor of sociology at the University of Lethbridge, sponsored Seyed-Emami when he came to the post-secondary institution in southern Alberta on sabbatical from about August to mid-December of last year. "He was a really interesting guy, very well read, very much a scholar. He had a quite eclectic set of interests from economics, politics, very much the environment – he was a very well-rounded sociologist," Harrison said. Harrison said the news of the Seyed-Emami's death left him "floored." "I was absolutely devastated, I think I still am. I think any of the number of us who had the occasion to meet him while he was over here are all feeling like it's a very big loss, he's a fine person."